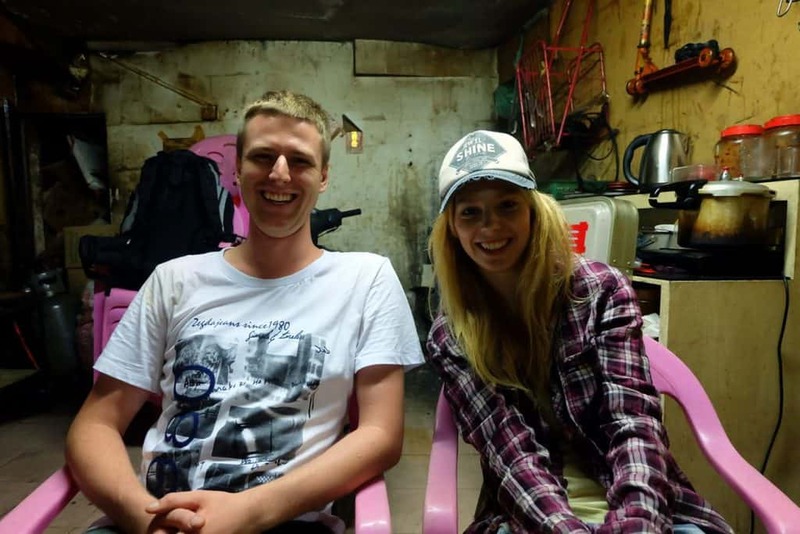 Meet eTramping crew – Agness and Cez – best friends and travel companions from Poland. These two are sharing their budget travel tips on how to travel the world with $25 in your pocket. Since 2011, they have been travelling the world while teaching English in different Asian countries such as China, Thailand or Cambodia. They are both photography passionate obsessed with Chinese cuisine and culture. Although Amsterdam is considered to be one of the most expensive cities in Europe (which I as an expat absolutely agree with), it still has a lot to offer for those who travel on extremely tight budget. You may ask: what can I do for only €12 in Amsterdam? Well, surprisingly a lot – from boat ride to exploring cheese museum and taking a selfie at I Amsterdam sign located at the back of the Rijksmuseum on Museumplein. Start off your day with a nice and relaxing boar ride. It costs only 9 euro and lasts approximately 45 minutes. The one me, Anna of Anna Everywhere and our guest from London went for was one of the cheapest we could find. It was located at 9 Damrak and the place was called Gray Line Sightseeing Canal Cruises. Sightseeing Amsterdam by boat together with your friends or relations is one of the best tourist attractions in the city. You can enjoy a boat ride through the famous Amsterdam canals. After your boat ride, it’s time to dig into a Dutch style sandwich. There is one cafe I always go to when I’m hungry and it’s called Singel 404. Sandwiches with salmon and goat cheese cost only 3 euro. They are filling and healthy so don’t forget to grab one when in Amsterdam. More info: Singel 404, +31 20 428 0154. Open daily 10.30am-6pm. Often underestimated by tourists, cheese museum is a great place where you should definitely go if you’re a big fan of different sorts of cheese. Dutch cheese has more than 600 years long tradition so everyone can find something yummy there. You can see and taste not only the cheese, but also some Dutch stroopwafels and candies as well as take fancy pictures of you holding a big block of cheese! The museum is open daily from 10 am till 6 pm, it’s located at Prinsensgracht 112 nearby Anne Frank House (just the opposite). Conveniently located in the heart of historic Amsterdam, near many fine shops, galleries and cafes, the museum features exhibits and films devoted to the tulip, the unofficial national flower of the Netherlands. Here you can explore the tulip’s history and discover the remarkable journey it has taken from the wilds of the Himalayan highlands to a garden like yours for free. Definitely must see place! This large sign that lies in front of the Rijksmuseum has become an iconic symbol of the city. You will also find many people sitting in or on the letters and getting their photo taken. Which attraction of those 5 would you find the most interesting when visiting Amsterdam?